Find news from around the world about Audio Excellence here. What Will Be The Next Big Leap Forward In TV Entertainment? We put a man on the moon before thinking of adding wheels to a suitcase…. Neil Armstrong was certainly a hero, but he hasn’t done much to improve my everyday life! However, when I’m running for a train, I always spare a thankful thought for Mr Sadow and his simple solution to an everyday problem. So, What’s Next For TV? 32K resolution? A holographic 3D display? Another cracking improvement in contrast? Actually, it will be the ability to create the same “suspension of disbelief” provided by a real cinema experience but …….using a TV screen. TV has, so far, never replicated true cinema, despite larger screens, larger resolutions and higher display performance. Why Can’t TVs Currently Offer This Experience? Simply because the sound can not physically emanate from its visual position - the middle of the screen. Some out-of-the box thinking has allowed Audio Excellence to develop a powerful (I mean, seriously powerful) out-of-sight loudspeaker which localises the sound source within the image.….. even on a flat panel TV. Where Can You Experience The Magic For Yourself? Certainly not at the large TV screen manufacturer stands - this is not another invention from those giants. Visit us at the ISE, stand stand 1-Q110, for a glimpse of the future of cinematic TV – we’ve named it the UFO. On Wednesday 23rd January 2019, CEDIA certified industry members can earn 2.5 CEU points by attending training organised by Screen Excellence & Audio Excellence and hosted by CAVD (see details below). Designing The Audio System In The Time Domain Offers Higher And More Predictable Performance. Sound is an event which happens in the time domain. Trying to optimise it by focusing on the frequency domain makes things needlessly complicated. The audio training, given by Patrice Congard, proposes a logical method to design, system layout and specific audio measurements - an approach which makes calibration simpler and consistently delivers the best possible experience of movie soundtracks for the home cinema user. The Projection Screen Is An Audio Component. Really? By considering the focal point of the cinema not just as a video product, but as a potential physical barrier to sound, you can appreciate how determinant its impact on the complete experience of the cinema user is. With Screen Excellence COO Jaro Pollanen you will explore the importance of the modern projection screen in today’s home cinema and - more essentially - how to select the correct screen for your installation. You will also benefit from “hands-on” practical experience assembling the component parts of a Screen Excellence screen. 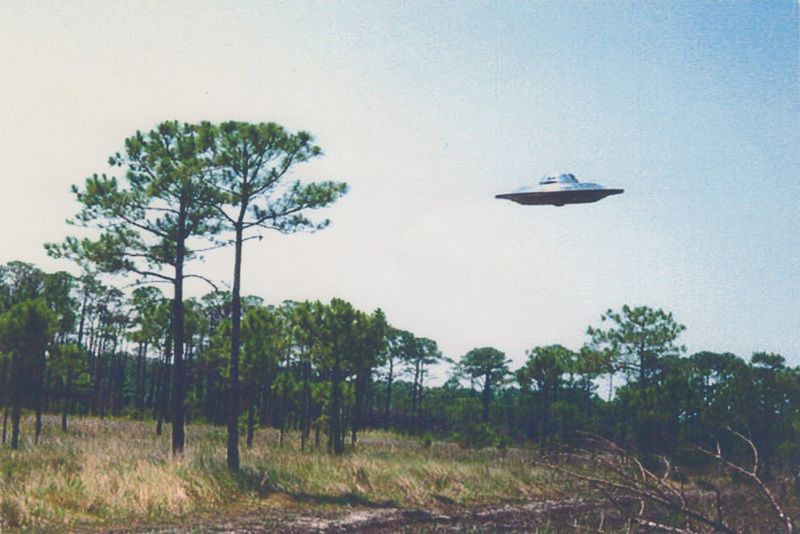 In late December 1980, a series of sightings of unexplained lights near RAF Bentwaters, England became one of the most famous UFO events to have occurred in the United Kingdom. 39 years later, and a stone’s throw from the landing site, a new UFO will emerge from the home of Audio Excellence. In February 2019 at the ISE we will unveil a totally new sonic concept - so unusual that we have named it the “UFO”, in tribute to our local extraterrestrial incident. Unusual? What else is left to invent in sound systems? The conventional solid projection screen was a physical barrier to the proper appreciation of a movie’s soundtrack. Sound and Image coherence is of utmost importance when delivering the essence of a true Cinema experience - the “suspension of disbelief”. To be credible in today’s world, the sound (from the L,C,R channels) must be perceived as originating from the image. It is now well established that a proper private cinema screen must be Acoustically Transparent. As flat screen TVs grow in size, they become a justifiable alternative for the drop-down projection screens traditionally used in a Media room. How can the sound come from the image displayed on a large rigid solid screen, like a flat panel TV? I will be running a free CEDIA training session on the Congard Code method of Home Cinema installation on Thursday, June 14th 2018. 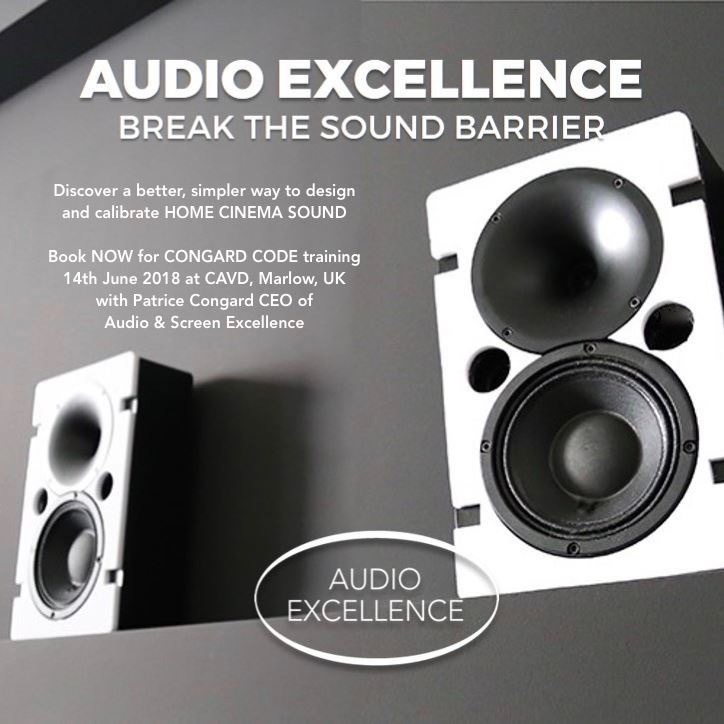 The Audio Excellence Series, Calibrated Using The Congard Code, Is Currently Turning Heads In The AV Industry. The talk will be followed by a demonstration of the Audio Excellence medium-size system, installed in the auditorium next to the training room. Attendance of this training session is awarded 2.5 CEU points by CEDIA. How Much Do You Trust Independent Reviews? Perhaps it depends on the publication or even the reviewer…. In our industry, Widescreen Review has a long-standing reputation as a world-wide reference for product evaluation. I couldn’t help feeling a slight sense of trepidation when putting our Audio Excellence system in the hands of reviewer Doug Blackburn. I had no doubts about the quality of our system and its ability to deliver, but who wouldn’t be anxious when having years of work assessed by an industry tastemaker! After several weeks, the first part of Doug’s evaluation was published. Although only a description of the system, its various components and of theory behind the configuration, it showed an understanding of the purpose and design of Audio Excellence and what this particular 7.1 system hoped to prove. One month later came the publication of part two, the real evaluation. "Audio Excellence likens the performance to bringing the sound of commercial theatres into your home, but I’ve only been to one commercial theatre that sounded remotely as good as this Audio Excellence home theatre system." All Audio Excellence products have been designed with the utmost attention to detail, embodying state-of-the-art knowledge to deliver the ultimate listening experience. If you have not registered with Audio Excellence already, please do so here for full access to our full range of online resources. Join Us As We Welcome Our First US Sales Reps. Selling in many markets around the world since its 2016 launch, Audio Excellence made its North American debut at the 2017 CEDIA Expo. Garnering critical acclaim, the line has begun to take root amongst high-end home theatre designers in the US. The brand is developing a national sales network, today announcing the appointment of its first independent sales reps in the US, with opportunities for representation in other territories. Designed by Patrice Congard the Audio Excellence system is comprised of custom-made speakers, multi-channel amps and DSP control – often used in conjunction with an acoustically transparent film screen. The system follows Patrice’s patented approach to layout logic and signal routing known as the ‘Congard Code’. The result is a home theatre experience that yields the type of superior dialogue intelligibility and bass management witnessed only in professional and commercial cinemas. Metro New York integration firm S.E.A.L. Solutions serves VIP clientele including athletes and Hollywood actors. “Whether we get called to design a theater from the ground-up or simply upgrade to 3D audio, the heightened realism of the Audio Excellence system is hugely exciting to our customers. The added bonus is that this helps me further differentiate S.E.A.L. from others,” says S.E.A.L. principal Chris Wyllie. - The Dan Drook Group, Dan Drook: Covering Ohio, W. Virginia, W. Pennsylvania and Indiana and Kentucky. Email: hrefddrook@embarqmail.com / Phone: 574.527.7587. - Accent Marketing Associates, Wayne Brown: Covering Illinois and Wisconsin. - BrandReps USA, Howard Borsa: Covering Alabama, Georgia, Mississippi, North Carolina, South Carolina and Tennessee. Email: Hborsa@brandrepusa.com / Phone: 770.286.0089. - Pacific Rim NW Marketing, Dee Farr and Mark Giovannetti: Covering Washington, Oregon, Alaska, and N. Idaho. Dee Farr Email: dee8720@gmail.com / Phone: 425.503.8720. Mark Giovannetti Email: markgioman@gmail.com / Phone: 206.334.2155. - Current Marketing, Paul Epstein: Covering Arizona, New Mexico, Clark County Nevada and El Paso Texas. Email: Paul@greatreps.com / Phone: 480.922.0200. Limited opportunities currently exist for representation in other areas of North America and distribution in other global markets. Do You Know About Edge Diffraction? Cabinet edge diffraction is a phenomenon where secondary sound sources are created by acoustic diffraction on the edges of the cabinet at certain frequencies. These interfere with the loudspeaker’s initial wave. The result is a colouration or “blurring” of the sound. To avoid this, the front edges of the speaker can be rounded – This is quite common in speaker design. However, a minimal cabinet depth, as exhibited by the Vertex Series of loudspeakers, prohibits this traditional way of combating edge diffraction. How Does The Vertex Series Solve Edge Diffraction? 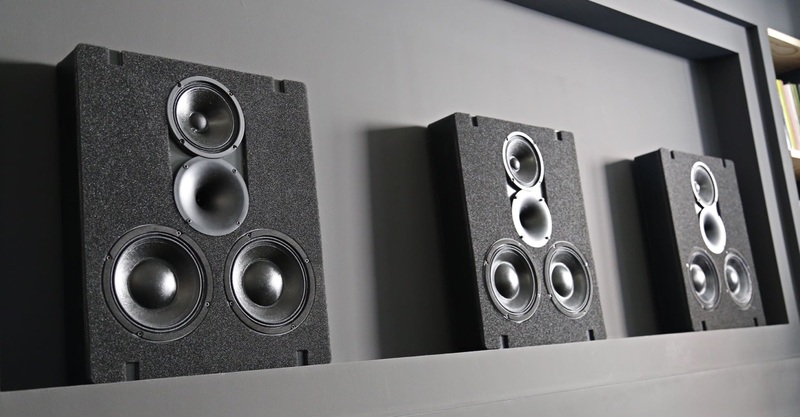 The design brief was to produce a range of high performance, high SPL, high sensitivity loudspeakers, whilst maintaining a shallow cabinet depth capable of in-wall installation. The Vertex series takes a ground-breaking approach to design. The most noticeable feature is the unusual use of foam on the front of each unit. You might be wondering why the foam is used and why it sets our Home Theater audio solutions apart from the competition. 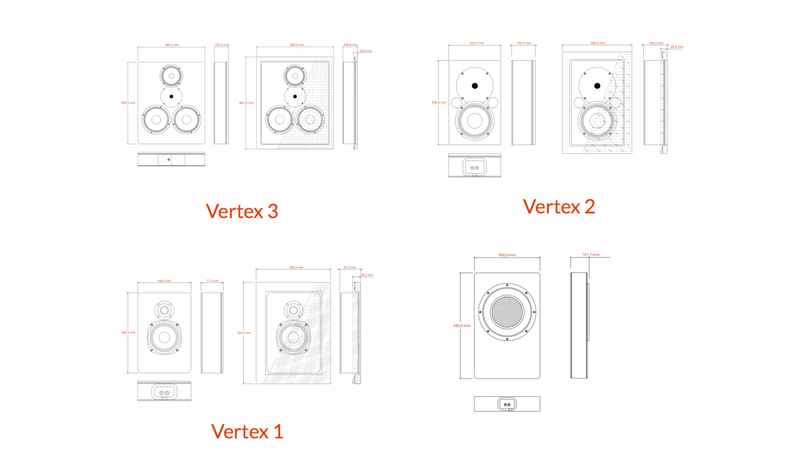 The Vertex series of loudspeakers uses absorbent foam to solve edge diffraction whilst maintaining the shallow cabinet depth required for in wall installation. The foam is a highly absorbent material. Surrounding the drive units, it absorbs the surface wave, hence reducing edge diffraction. Using this approach ensures that the clarity of sound from the drive units is uncompromised, whilst maintaining a physically very shallow depth loudspeaker capable of in-wall installation. Initially available in “pearl grey” an additional colour option of black is now available. Vertex: An Unconventional Look For A Good Reason. We've been in business for 10 years! Time really flies! Screen Excellence opened it's doors in England 10 years ago this February and quickly evolved to be a market leader in Acoustically Transparent screen technology. Subsequently, gathering feedback and insight into the needs of the custom installer, we soon discovered something lacking in the Home Theatre Audio domain: Dedicated High-SPL, high dynamic range, lifestyle loudspeakers and audio systems. Beginning in 2015, an intensive 2-year period of R&D yielded an audio solution to meet these exacting criteria, resulting in a unique approach to producing an accurate and powerful rendering of sound. 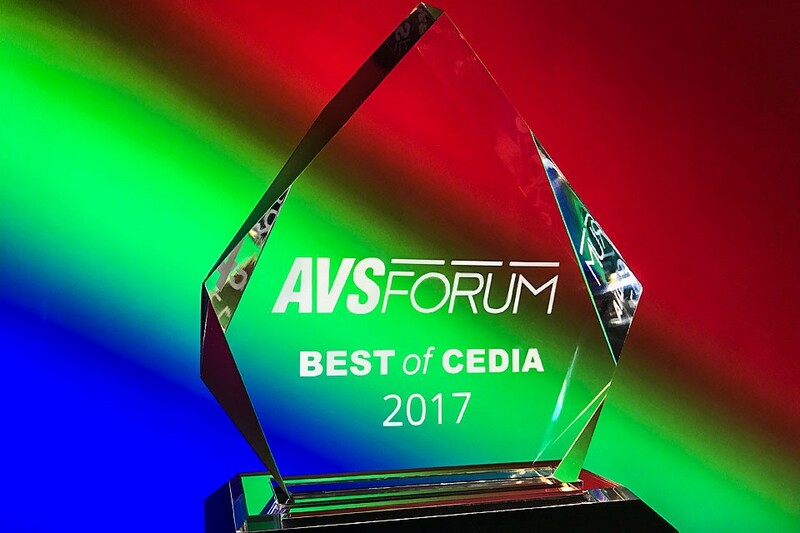 Debuted live at CEDIA 17 to an expectant audience, our complete system was awarded “Best Demo In Show” by AVS forum. We believe your clients deserve a true cinematic experience. The Audio Excellence range, in harmony with a Screen Excellence AT projection screen, combine effortlessly to make this dream a reality. To discuss the unique prospect of partnership for distributors willing to offer this award winning screen and audio combination to their clients, please make an appointment to visit stand 1-Q110 at ISE 2018. Audio Excellence is pleased to announce that its products are available within home theatre design software, The Cinema Designer’s manufacturer database, allowing any home cinema installer, designer or dealer anywhere in the world to design technically accurate home cinemas and media rooms using the brand’s range of home theatre audio products. Detailed dimensions of the Audio Excellence products are used to recreate them within TCD. Audio Excellence’s home theatre products are available now in TCD, comprising the Vertex series of loudspeakers, Raijuu range of subwoofers, Quattro series of amplifiers, Octo eight-channel power amplifier, and Control 4.8 DSP crossover. 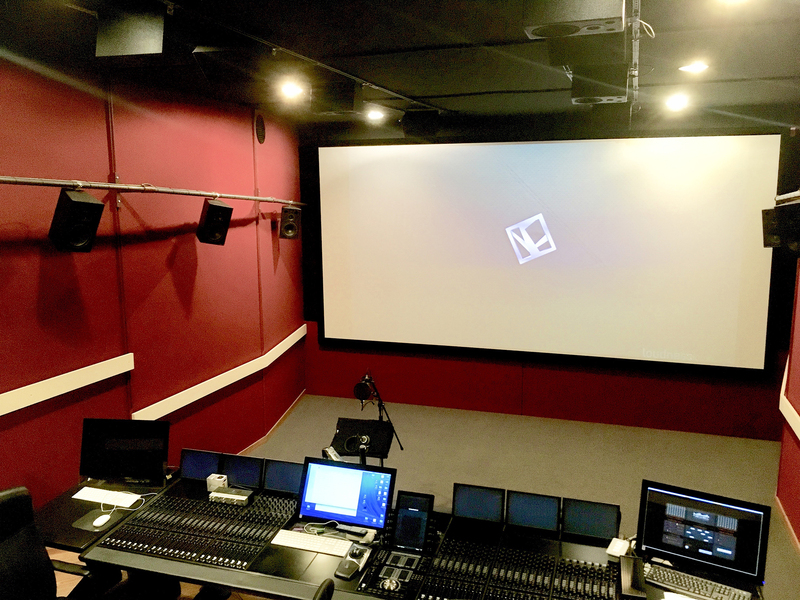 TCD users can confidently design technically accurate 32 channel count Dolby Atmos and DTS:X home cinemas using Audio Excellence’s products; TCD will calculate the exact speaker placements in seconds. TCD eliminates the guesswork when it comes to placing all the required loudspeakers accurately in a room in a way that is relative to the listening area, while eliminating equipment combinations that simply won't work. In fact, using TCD is the only way home technology professionals can accurately design technically perfect high spatial resolution home theatres in minutes. Additionally, close collaboration to successfully implement The Congard Code approach to audio system design within TCD is underway. Screen Excellence’s range of home theatre screens are also available in TCD. 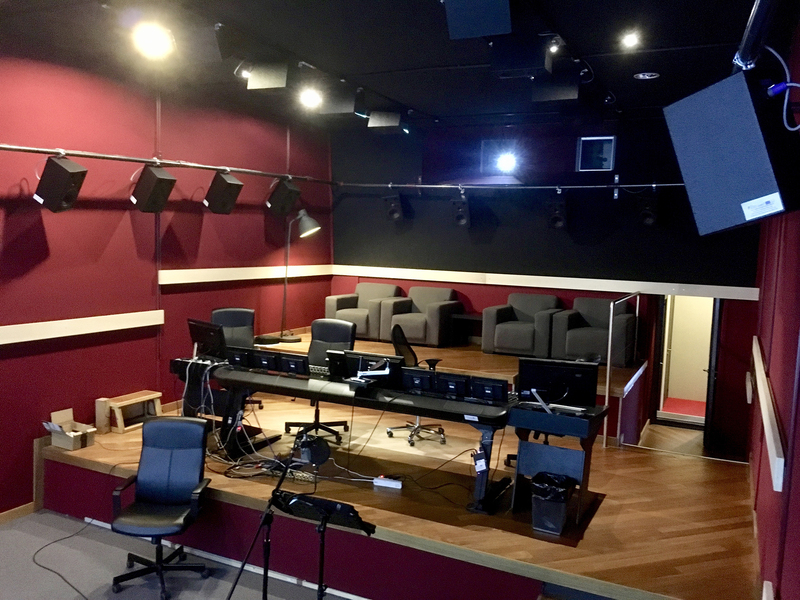 TCD is also offering any Audio Excellence dealer complimentary TCD webinar training, which will guide the attendee through the entire cinema or media room design process. Those wanting to take advantage of this should email to book a training session. Installers are required to create a TCD account to start designing home cinemas and media rooms. For more info on TCD subscription options and pricing, click here. Click here for a video tutorial of the complete TCD cinema design process. What do the experts say about TCD? Watch this short video to find out. If you have not registered already, please do so here for full access to our full range of online resources. Have you ever visited a post-production studio? If you have experienced this incredibly creative environment you may also have been lucky enough to be present at the magic moment when the movie producer, editor, sound engineer and the crew.... all tired... late at night, decide that, "Yes! it’s in the box - Job done!". A pure moment of achievement, relief and happiness! The post-production team have just scrutinized the movie "just one last time" and agreed that it delivers a fantastic experience. They are proud of what they have produced, and sincerely hope that as many moviegoers as possible will share an identical experience. Unfortunately only a handful of high-end commercial theatres are capable of reproducing this TRUE experience, most people will not have access to this level of performance and detail, due to less than accurate playback systems, or even flat panel TVs! Understandably, most people don't have access to the level of performance and detail experienced in a post-production suite. Now.....here comes the challenge: To deliver the TRUE experience in a Home Theater. This is why Audio Excellence has developed The Congard Code. The approach is controversial but the results are undisputed and award winning. Discover how and why Audio Excellence provides the TRUE experience here. Remember, you can also access a complete guide to Home Theater installation here. Let’s face it, I am lucky! A few years ago, we sold a Screen Excellence projection screen to Loudness Films Studio in Lisbon, Portugal. This facility is run by Branko Neskov, a world renowned sound engineer. So, when on holiday in Lisbon last week, I rang Branko and asked him if I could visit his studio. He welcomed me warmly, and here I was: In a great Dolby Atmos mixing/dubbing studio in the sweet town of Lisbon. Branko ran a demo, first with the usual Dolby test Blu-ray, which I am familiar with, and then with an extract of a movie they have been producing locally, in Catalan language. The sound was powerful, clean, detail-rich and beyond any shortcoming. The Atmos localisation worked as well as I had ever heard. Audio Excellence wins "Best of CEDIA" award! 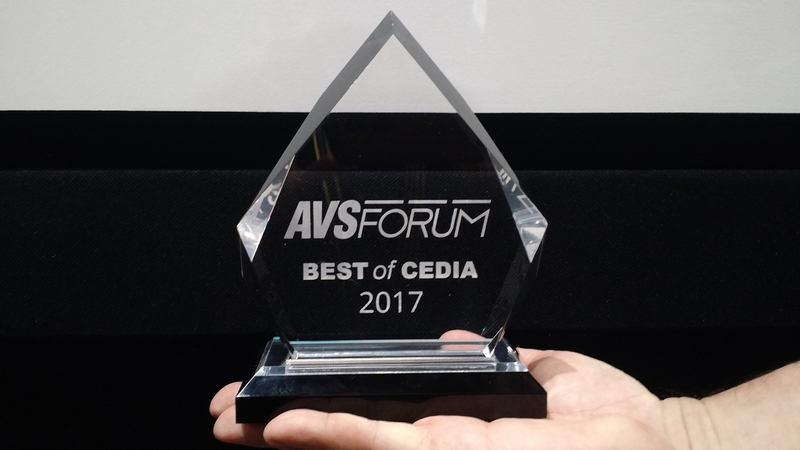 As the dust finally settles on our most successful CEDIA event to date, we’d like to say thank you for visiting what AVS Forum’s Scott Wilkinson called the “Best overall demo” at CEDIA 2017. The Audio Excellence/Seymour Screen Excellence/Wolf booth was understandably rammed for the entirety of the show! The San Diego convention center was the perfect setting for the launch of our flagship audio range and the response from visitors and reviewers alike has been overwhelmingly enthusiastic, truly cementing the status of Audio Excellence and Screen Excellence as ground-breaking leaders in the AV market. As enquiries from new dealers start to flow in, we encourage you to contact us sooner rather than later to avoid disappointment. We’d also love to hear your thoughts on your first experience of the Audio Excellence system. 7 + 1 = 8! Would you agree? If you are a custom installer, you will immediately appreciate the benefit of using an 8 channel amplifier in a 7.1 system installation. Now, encompassing more ambitious formats, in a 7.1.4 Dolby Atmos or any 3D audio format, an 8 channel amplifier would be most welcome to juice up the surround and ceiling speakers in one go. 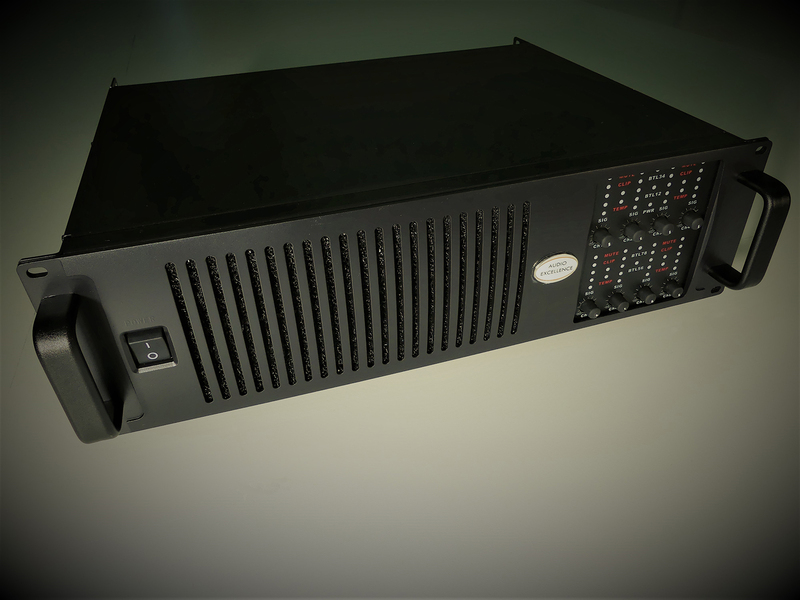 The requirement for an 8 channel amplifier is quite apparent, hence there are already a few available on the market. However, these convenient amplifiers are most generally underpowered, as their designs face power supply limitations. As you are probably already aware, an underpowered amplifier has a most derogatory effect on the sound quality and loudspeaker life in an audio chain: A clipping amplifier always sounds worse than one that is not clipping. Moreover, it is likely to damage your loudspeakers. This is the reason why Audio Excellence are launching our brand new Octo 05 amplifier. The Octo 05 provides a healthy 500 Watts per channel into 8 Ohms or 900 Watts into 4 Ohms, simultaneously. Operating in class D, it uses ultrafast switches allowing a >109 dB signal / noise ratio, hence avoiding the often derided “digital” sound. The result is a great sound! Comparable to a high end analogue amplifier with substantially more power. At this stage, you might expect it to cost an arm and a leg… the good news is: Not really! 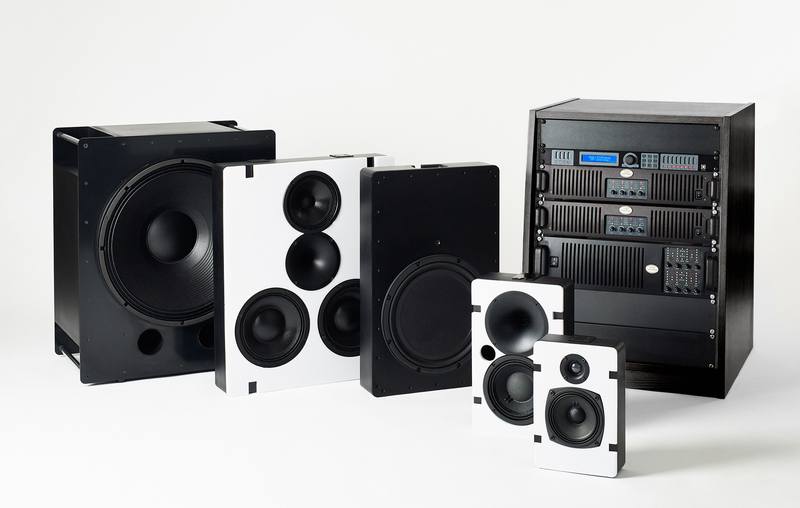 Audio Excellence are delighted to announce our UK distribution will be exclusively handled by Custom AV Distribution! Sister brand Screen Excellence and CAVD have been working together successfully since 2015 helping integrators to supply our coveted projection screens to many home cinema projects. Furthermore, from inside the walls of our Suffolk factory there has been extensive research and development throughout 2016 to bring a new speaker system to market. Along with the products themselves, the Congard Code will ensure the best results when installing the system. 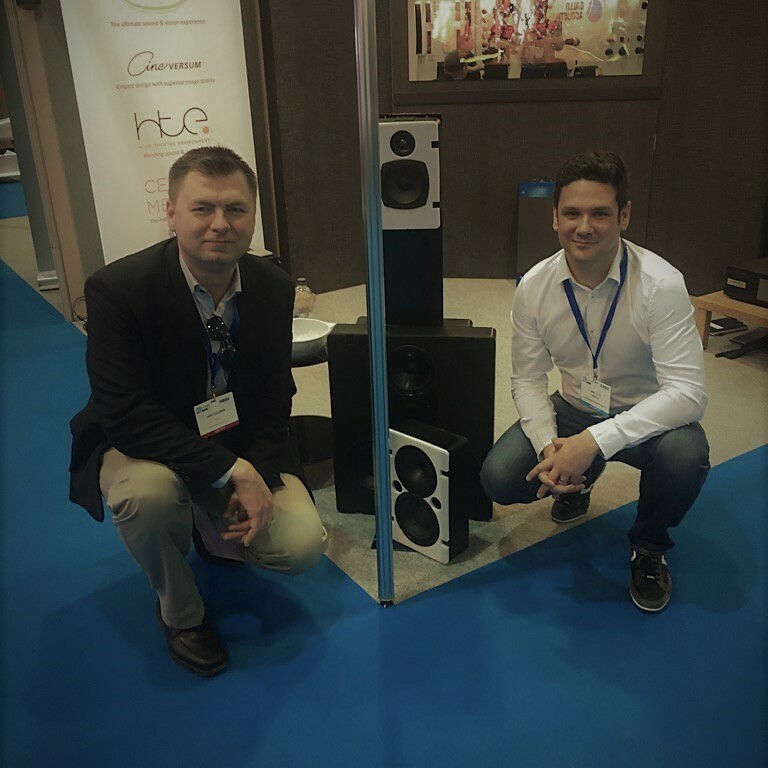 Patrice Congard’s ‘Audio Excellence’ is now ready to be installed into any lucky enthusiast’s home and, together with CAVD, we are looking forward to a prosperous relationship throughout the UK. CAVD are also about to unveil their new demonstration facility in Marlow featuring an Audio Excellence Dolby Atmos speaker system in the cinema showroom to introduce the sound and code to dealers. Please join us in welcoming Jamie Pullen and his team to our Audio Excellence distribution network! Now it is easy for you! Compared to the basic-entry level- approach of a single do-it-all receiver, ultimate audio performance requires a combination of Digital Signal Processing (DSP) and large power amplification. 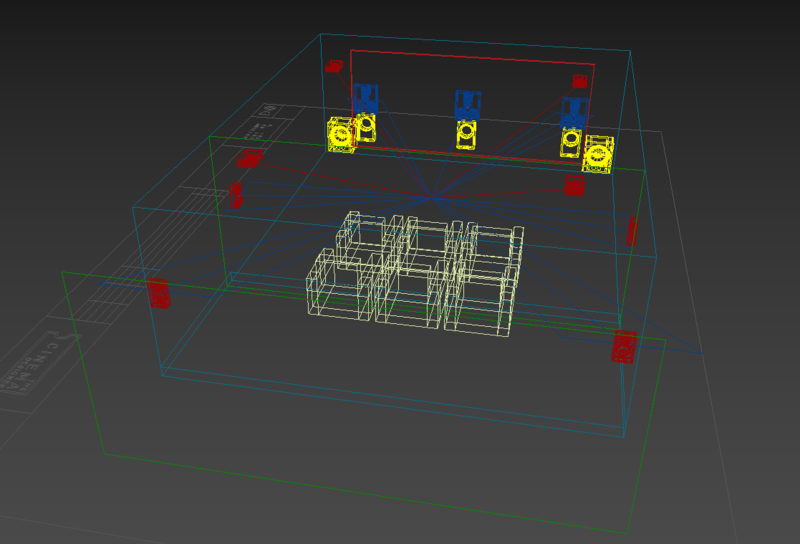 However, this also requires quite a few cables and some careful wiring. To make your life easier, you can now get the this same high performance in a single unit, eliminating any intermediate wiring. Designed for ultimate performance and flexibility with extreme ease of installation, the DSP Quattro 06 is combining a digital active crossover with a 4 channel high-power amplifier. Any of the 4 input signals can be routed to any of the outputs or summed on any single output making this is the ideal solution for powering the L,C,R channel speakers with a summed channel bass extension. And to really make it easy for you, why not also try our complementary Sound System Design for your next installation? 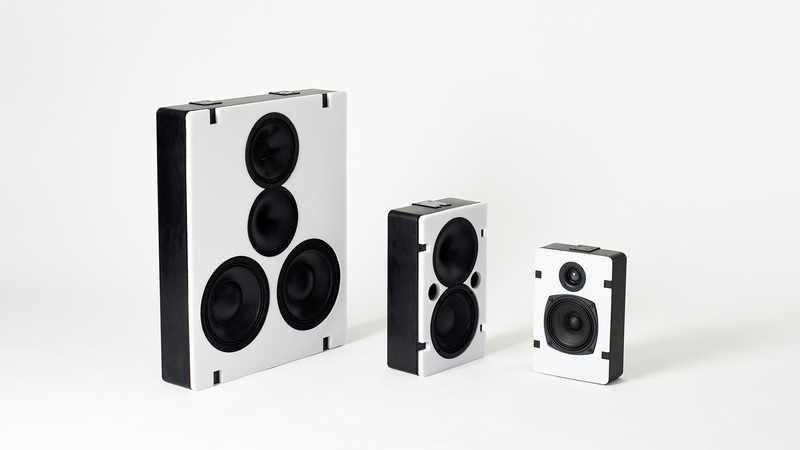 We are excited to introduce to you our brand new product line: Audio Excellence. It has been specially designed for dedicated home theater installations, to reproduce the TRUE cinema sound at the same quality, and at the same Sound Pressure Levels as you would experience in the finest full size movie theater or cinema: continuous 105dB up to 10m distance! Yet it is easy to install behind the screen. "It was a pleasure to listen to a coherent and accurate system, there are precious few people who understand fundamental speaker design, time alignment, phase coherent and impulse response, a recipe for an accurate reproduction of sound"
James Soanes, Technical Officer, OPPO Digital UK Ltd.
"Liked the idea of having separate bass unit from main 3 speakers. Good sound from nice size speakers!" "The new audio system is fantastic! Really enjoyed it!" "Speaker system was very good!" And here some press coverage.